The truth is spoken here-read this article. Fitness to each of you. In the spirit of the upcoming new year, I thought it would be fitting (unintended pun) to talk about the things we do to sabotage our workout efforts. More than 40% of Americans will make a New Years resolution, but only 8% of those people will actually succeed at achieving their goals (Forbes.com). Usually losing weight or being healthier tops the list of resolutions each year. So why can’t we attain the healthy, fit body we always dreamed of? Here are some of the ways people, women in particular, undermine their efforts of leading a healthier life. As you approach the calendar marker of January 1st, it is typical for many to begin to nervously bite their nails as they get ready to make a new list of resolutions. Don’t fret or stall this year because you are going to plot your resolutions differently-this year you will focus on creating solutions that are connected to each resolutions. 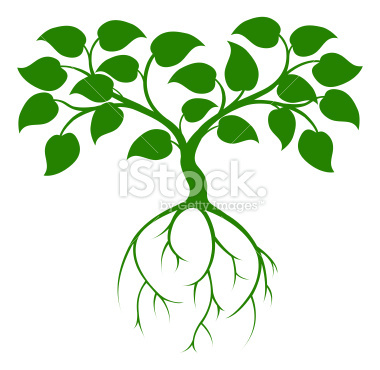 Resolution success involves fertilizing your roots. Resolutions, at any time or date, are nothing more than affirmations you plant in the soil of achievement. When you add solutions-nothing more than a road map to your affirmed resolutions- you are then operating with the dynamic power of the invisible and the visible. Become a tree planted by the water, be NOT moved. Go ahead. Start writing your heartfelt resolutions. Make each one in the form of a declaration. Use “I am” statements-create your future truth. Each declaration must also have a solution statement or page-depending on the breath and depth of what you are resolving to do. For example: Resolution-I am an author, I will publish my manuscript by September 2014. Your solution statement may be-I will write or edit two pages every day. Post your resolutions and solution statements in your meditation room, on the refrigerator, on the mirror, and/ or on your bedroom door. Success Solution: tell three people what you have resolved to do (make sure you solidify your base of support by telling at least one person who has done what you resolve to do, solicit the help of an expert who will support you). Bringing forth your resolutions from the “invisible” also means that your resolution tree is grounded, planted with indissoluble definiteness. In the book, Climb Every Obstacle: Eliminate Your Limits!, the opportunity step for the obstacle doubt is to write “I believe” statements. Say: “I believe” a million times a day, especially when you pass the areas where you have written your resolution/solution statement(s). 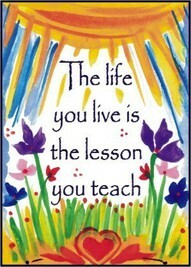 Pause, plant roots in your life soil often, think about what you believe-make the invisible visible. Write it, say it. Resolution solution suggestion: Once your initial list is complete, start off by using the first 25 days to inculcate your resolutions. Stand in front of your page(s) and repeat out loud every resolution you have written. Say the resolution, then put your hand over your heart and affirm out loud using the words “I believe” after each one. Master this technique. Toss the emery board, get a resolution board. Toss the calendar, get started writing your resolutions and solutions today! Resolutions and solutions are the invisible roots that make visible your life tree. Email your resolution/solution list to me – anita@anitajefferson.com – and I will send you a mid-year reminder as a check-in to give you support.